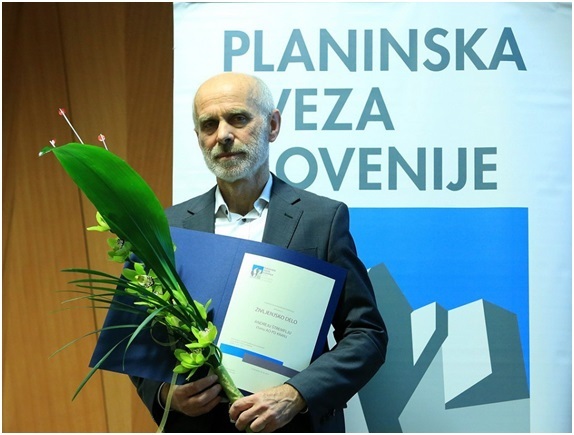 Each year, the Alpine Association of Slovenia dedicates the alpinism and climbing evening to honour the outstanding achievements in alpine, rock and ice climbing, as well as ski mountaineering, which contributes to greater recognition of these sports in media. This year, the lifetime achievement in the field of alpinism has been awarded for the fourth time. On 2 February 2017, it was received by the excellent alpine climber, the Himalayas expert and mountain guide, Andrej Štremfelj. Andrej Štremfelj became a part of the Slovenian mountaineering history on 13 May 1979, when he and Nejc Zaplotnik were the first Slovenians, and also the first Yugoslavs, who had reached the top of Mount Everest (8848 m). In 1990, he climbed the highest mountain with his wife, Marija, and they became the first married couple to have ever stepped on the roof of the world. He also climbed seven other eightthousanders: Gasherbrum I, Broad Peak, Gasherbrum II, Shisha Pangma, S peak of Kangchenjunga, Cho Oyu and Dhaulagiri. For the first ascent in alpine style along the southern pillar of Kangchenjunga (8476 m) in 1991, he and Marko Prezelj received the prestigious international award Piolet d’Or. In his 45-year-long alpine climbing career, he participated in over twenty expeditions to the Nepalese Himalayas, he performed first ascents to several seventhousanders, and worked as an instructor in the Slovenian school for Nepalese mountain guides in Manang. He has also climbed in Patagonia, Pamir, and the USA, as well as reached the top of Denali and Aconcagua. 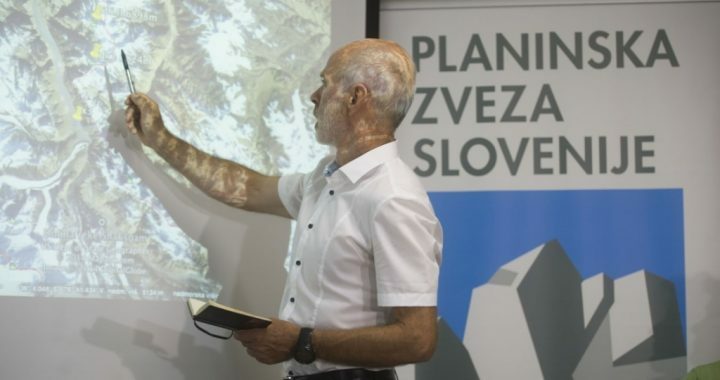 Planinska zveza Slovenije na alpinistično-plezalnem večeru vsako leto podeli priznanja za vrhunske dosežke v alpinizmu, športnem in lednem plezanju ter turnem smučanju, kar pripomore tudi k medijski prepoznavnosti teh športnih panog. Letos je že četrtič podelila tudi priznanje za življenjsko delo na področju alpinizma, ki ga je 2. februarja 2017 prejel vrhunski alpinist, himalajec in gorski vodnik Andrej Štremfelj.